Telecommunication technology has been advancing at a fast pace for last couple of years and now almost everyone owns a smartphone even including kids. Although it seems like a good thing (and it is) but the same technology has some disadvantages too. First of all, kids don’t have any idea with whom they should talk to and what kind of people they should avoid while using social networks like Facebook and Snapchat. It is parents’ responsibility to keep a keen eye on their kids all the time. Following is a comparison between Highster Mobile and mSpy; both are popular monitoring apps. Highster Mobile and mSpy both have almost similar process for installing and initializing these apps for the first time. You have to have the target device in your hands in order to install these monitoring apps because you cannot possibly do that remotely as no mobile operating system allows that. After the installation process, you don’t need physical access to the target device in order to configure or monitor activities because you can do that from the web portal and secure online account these services provide. Highster Mobile is compatible with Android and iOS devices but iOS devices need to be jailbroken in order to install Highster Mobile on them and that is a huge disadvantage. On the other hand, most of its features do not work on Android devices which are not rooted. mSpy is available for Android and iOS devices (jailbroken and non-jailbroken both) as well as Windows based desktop PCs and Mac OS. Highster Mobile and mSpy allow administrators to monitor activities performed on the target devices via the online web portal they provide at the time of purchase. Administrators can monitor call logs, text messages, emails, browsing history, social network activities, calendar and events as well as real time location of the target device. The location tracking feature allows parents and employers to track the geographical location of the target device in real time with the help of GPS feature of the device. It means you don’t have to worry about your kids anymore because you can track them down anytime you want. Although this feature is already available in almost every other monitoring app but mSpy has something interesting and useful added with this feature. It also records the routes and coordinates of the target device so you can see where you kid or employee went last night or during business hours. Both of these apps allow administrators to see the photos, videos and other media files which are stored on the target device. It means you can see what kind of videos and pictures your kids have been downloading. mSpy also allows parents to allow or restrict certain websites on the device so parents can prevent their kids from visiting harmful websites. 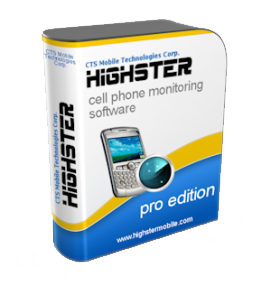 Highster Mobile is available for $70 and it does not have a monthly subscription fee or any other kind of subscription or plan. On the other hand, mSpy offers several different subscription plans with different features according to your need and for different time period. There are 4 different plans with different time period options; users can select basic, premium, family or bundle plan for 1, 3, 6 or 12 months time period. 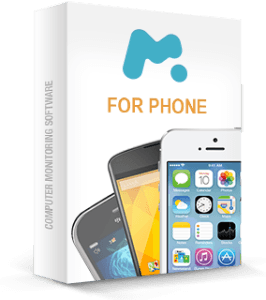 Both of these apps and services have their own pros and cons yet mSpy has more advanced features as well as more than 1 million satisfied customers all over the globe that makes it one of the best monitoring apps and services available today.